If you have come to the United States on a temporary or non-immigrant visa, then you may adjust your status in order to become a lawful permanent resident. Our Los Angeles immigration attorney is here to explain all the details to you so that you can achieve the status that you need. Your adjustment is based on qualifying for a specific type of permanent visa. It is important for you to remember that an adjustment of status will not be given if “negative factors” are found in your case. If you have general questions about an adjustment of status, then please feel free to contact us and we will respond to your questions within 24 hours. If you would like to learn more about the status adjustment process or other immigration matters, we encourage you to schedule a free case evaluation with our Los Angeles immigration lawyer today. During this appointment, we would be happy to answer any questions that you have about your situation and offer you a list of options on how to proceed. We always keep your best interests in mind and we can help you take action. 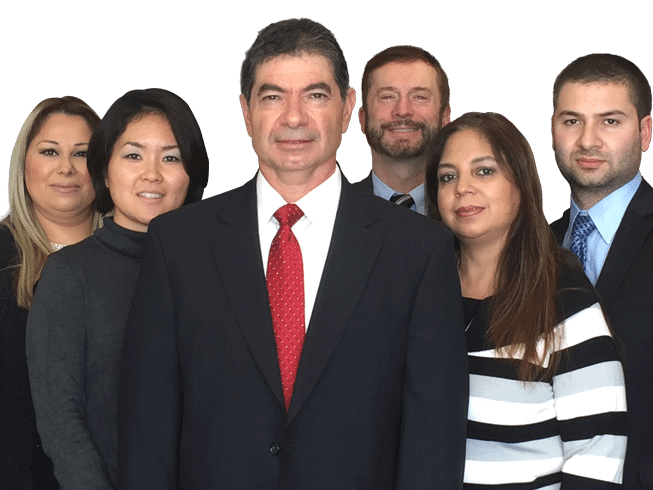 our team at the Law Offices of Henry Haddad.